Archival life expectancy of C-type and Giclee photographic and fine art prints. At theprintspace there are five key factors to take into consideration to help determine the longevity for your photographic prints. 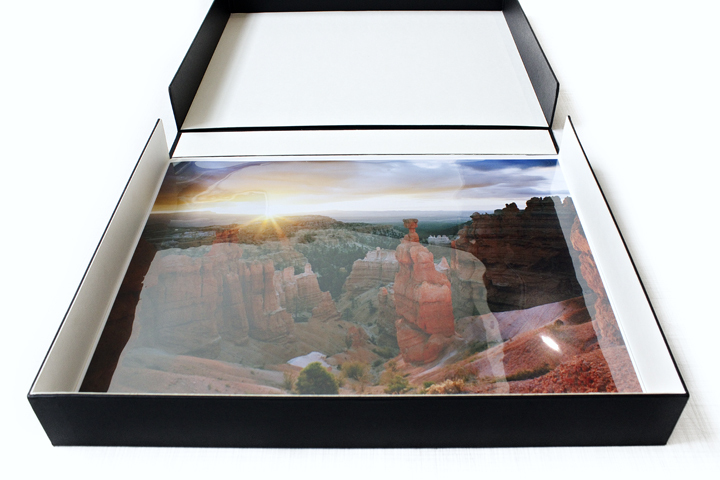 When considering image stability of a photographic or Giclée print it is the environment and the storage conditions of the artwork that primarily dictates its longevity. Paper is sensitive to its surroundings and can be affected by changes in temperature, humidity, and exposure to bright light and contaminates in the air. As discussed earlier in the article light, heat and atmospheric pollutants are the main concerns but there are more subtle factors to consider when storing artwork. These include adhesives that induce degradation over time and sulphur compounds produced by materials like rubber and wood can initiate fading and instability. To this end ensure your prints are stored in archival materials including archival acetate sleeves and are placed inside archival storage boxes made from acid free conservation board. Once the print is stored using archival materials it is ideal to find a suitable place away from fluctuating temperatures and potentially high humidity conditions. Avoid attics, basements or next to outside walls which experience more fluctuations in conditions and where condensation frequently occurs. It is good to check your stored boxes now and then to ensure they are free from pests, moisture, dust and are in good condition. The best way to conserve artwork for display purposes is to use conservation framing. Putting the artwork behind glass protects it from the surrounding environment. When mounting for framing its is ideal to use 100% cotton fibre, acid free un-buffered mount boards. UV protective conservation clear glass also reduces the impact of exposure to bright light sources. At theprintspace we have a wide range of conservation framing options to ensure your artwork stands the test of time. If you would like to speak to one of our team members more about the longevity of your artwork, please get in touch with us today.